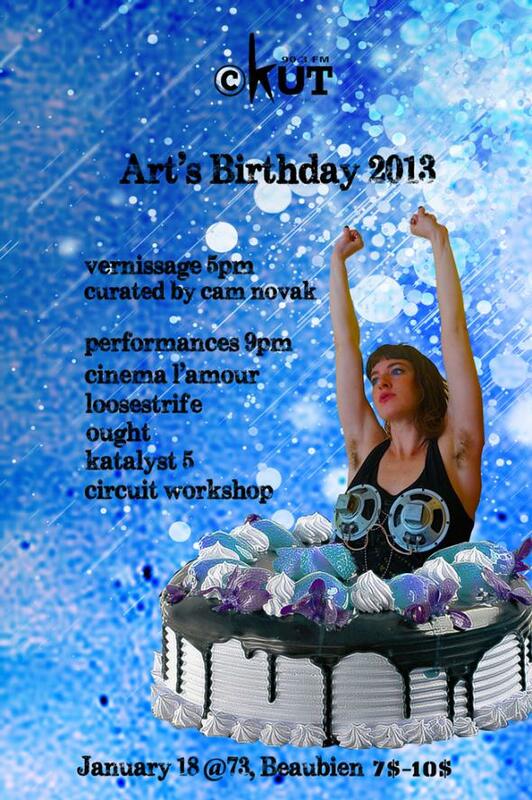 RSVP to Arts Birthday 2015 here! Art’s Birthday was originally proposed in 1964 by artist Robert Filiou as a celebration of Art. Arts organizations all over the world celebrate Art’s Birthday with parties and performances. CKUT has produced special programming in celebration of Art’s Birthday since 2007. 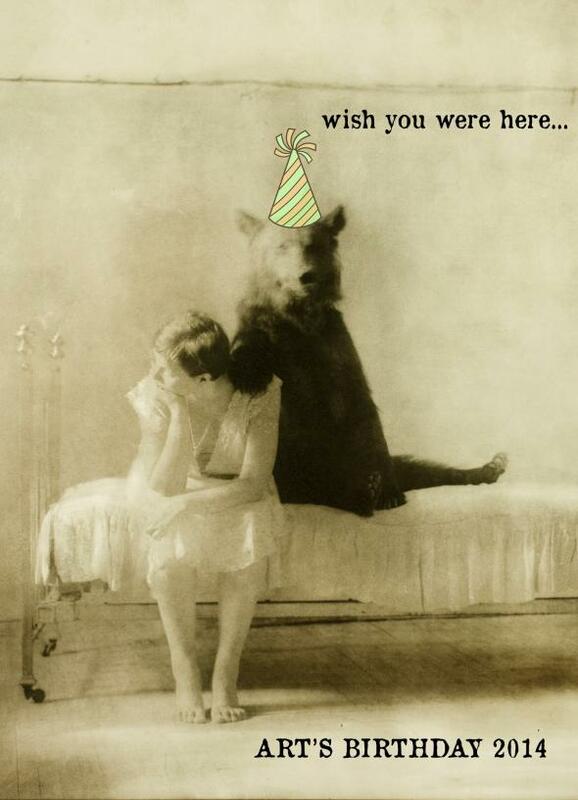 Expect live musical performances and shenanigans, visual and sound art installations, a film room, an art cake contest, an art-of-kissing booth, a ringing-in of the birthday at midnight, a costume contest, and a DJ’d dance party to bring the night to a close!